After another wonderful omelet breakfast, we headed straight to the beautiful village of Mlangali, where we were able to observe some of the challenges and design changes to the construction of Mlangali's new water system. After another wonderful omelet breakfast, we headed straight to the beautiful village of Mlangali. Construction on Mlangali’s water system began recently, and we were able to observe some of the challenges and design changes. The face of water committee chairman, Kevin, showed immense joy and excitement upon our entrance to the village. With words and demeanor, he communicated the genuine appreciation that he had for our assistance with the village’s most important infrastructure. It is important to be aware of the huge impact that we can have on hundreds or thousands of people's daily lives. Ultimately, this is the goal of engineering in the real world. The application of our classroom-learned theory provides the opportunity to have real-world long term impact. We are beginning to see the potential gravity of this impact, and today, this reality could be seen in Kevin’s face. We also attempted to explore the inside of the well with Saint Paul Partners’ new camera. While we were in the village, we were able to interact with some of the residents and practice our Swahili. The children seemed to really love the candy, but didn’t seem to enjoy Austin’s fist bumps. To end our school day, we heard from Saint Paul Partners’ volunteer engineer Amos about Tanzanian water system guidelines. This helped us understand how to account for things like leakage and population growth in our designs. 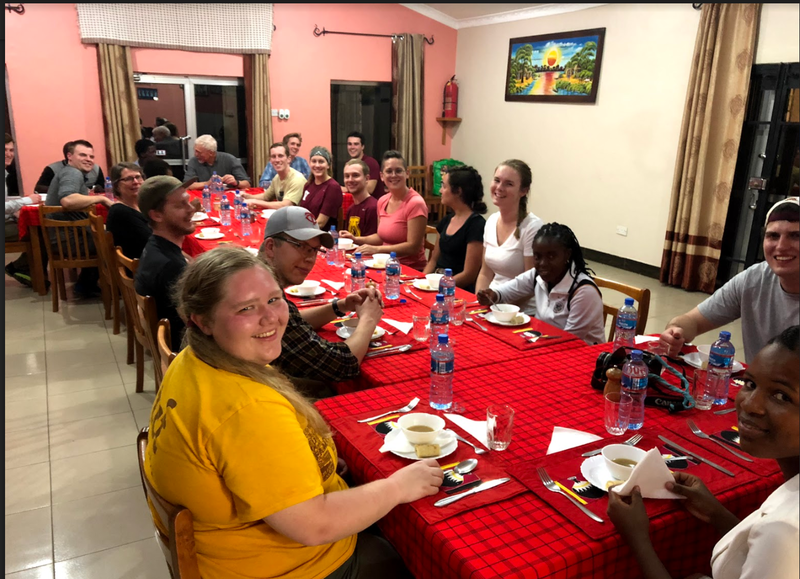 Lastly, we were able to meet and share a meal with the University of Iringa Community Development students who will travel to our villages with us. We are all very excited to spend more time with them in the coming days.